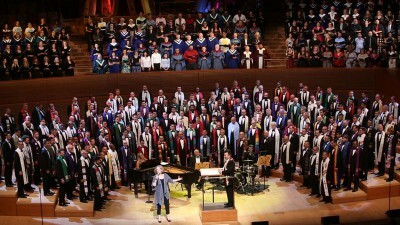 Hoping the best for members of the Gay men’s Chorus of Los Angeles. The group does so much good for the LGBT community and I try to never miss any of their concerts during the year. So this morning’s report in the Los Angeles Times is very disturbing. The chorus told its members Monday that longtime board chairman and major fundraiser John Duran will step down from his post at the end of the season — a change that comes amid allegations of sexual harassment and misconduct.